Applications for the Summer 2019 Field School are now open. 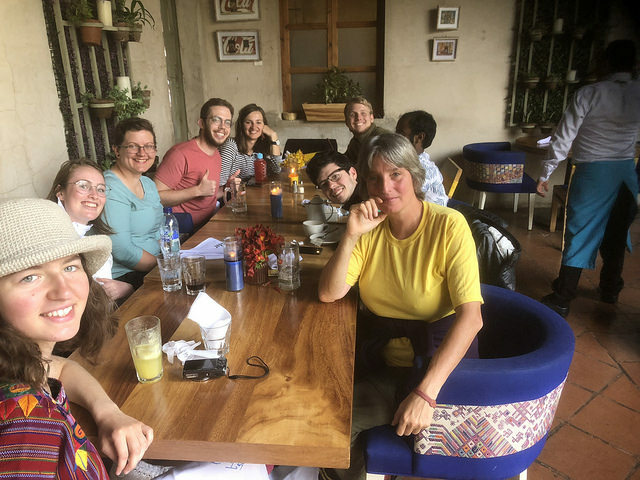 Our annual Summer Field School brings students, researchers, and faculty from all over the world to Guatemala for intensive language classes combined with research or other community-based projects. The field school is offered in collaboration with our local partner Wuqu’ Kawoq, as well as other community organizations (Renacimiento, and a women's cooperative). The cost for the three-week program will be $2350 for the three-week program and $2700 for the four-week program. Students may also apply to participate only in the two-week K'iche' language school (July 6th - July 21st). However, there are a limited number of places for the two-week-only option, and priority will be given to local NGO workers and interns with Wuqu' Kawoq. We hope to offer reduced program fees to certain groups of participants, including NGO workers/volunteers, Guatemalan residents, and participants who are entirely self-funded. LSC Staff & local field school staff provide preparatory and on-the-ground support for the trip. Experienced local instructors teach immersion classes in K'iche' or Kaqchikel for Field School participants. Instructors plan the lessons, provide individual assistance, and customized language learning materials for participants. For the 4-week program: University of Maryland faculty provide mentoring for data collection from native K'iche', Kaqchikel or other Mayan language speakers. Regular group and one-on-one research meetings are held to foster collaboration and provide support. For the 3-week program: UMD faculty will assist students in establishing a project in conjunction with a local community organization (focusing on education, business, language, or health). Participants stay with local families to experience daily life, immersing themselves in the language and culture. Participants take weekend excursions to interesting nearby places. Previous trips have included Lake Atitlán, Antigua, Wuqu' Kawoq's clinic sites, local historical sites, etc. In 2015, before the Field Station officially opened, UMD undergrad Neomi Rao visited the prototype of the station and wrote about the trip on her blog. For more information about the field school or other opportunities at the field station, please email us at lsc@umd.edu.